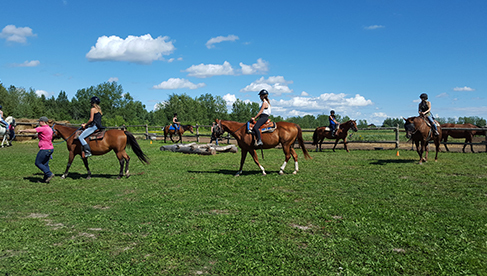 In the heart of the Ottawa Valley lies a horseback riding vacation paradise along the Ottawa River-- Horse Country Campground. 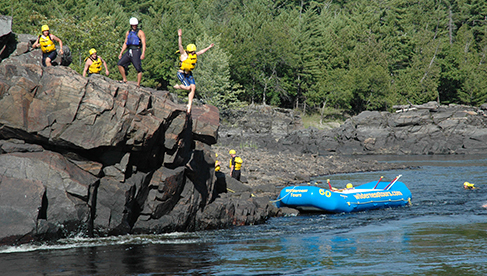 Located in Foresters Falls, a small community one hour West of the City of Ottawa, Horse Country Campground is co-located at Wilderness Tours Resort, one of Canada’s premier outdoor adventure and whitewater rafting companies. 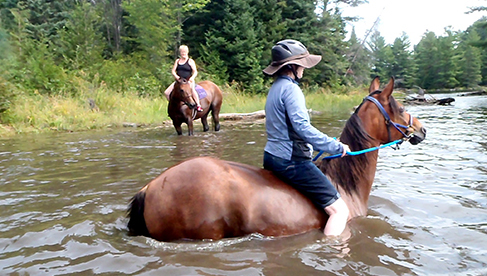 Opened in 2013 this riding vacation destination has quickly established itself as one of Eastern Canada’s most unique horseback riding vacation destinations. 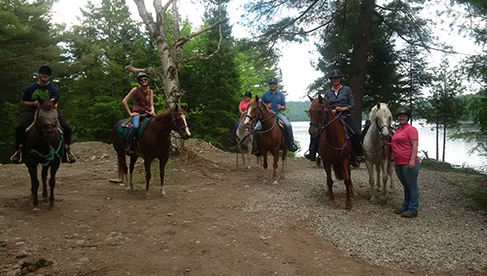 The seasonal campground and horseback riding program is open May through October, seven day per week. 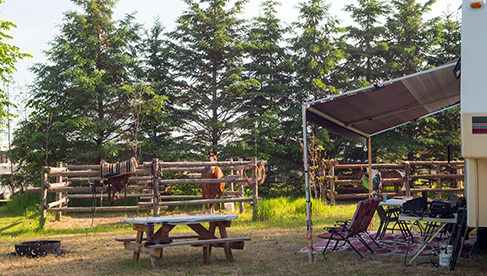 Camping options include family and equestrian sites (including corrals) and offer both seasonal and overnight camping. 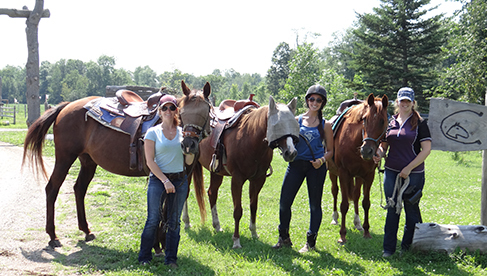 Our guided horseback riding program is designed for beginners in mind with a range of two and four hour rides that include meals and resort day passes. 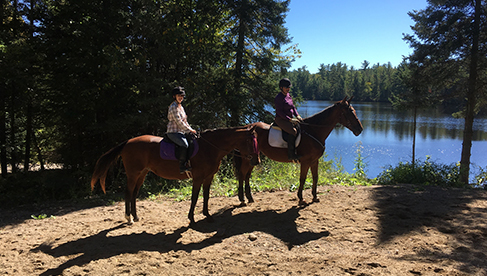 For those planning a vacation, Horse Country Campground offers a range of overnight and all-inclusive horseback riding vacation options. 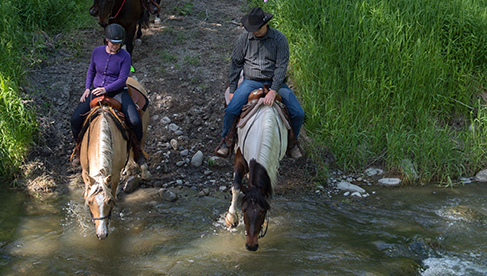 Our all-inclusive vacations include meals, accommodations and daily horseback riding with guides, in addition to options such as whitewater rafting fishing excursions, mountain biking or golf. 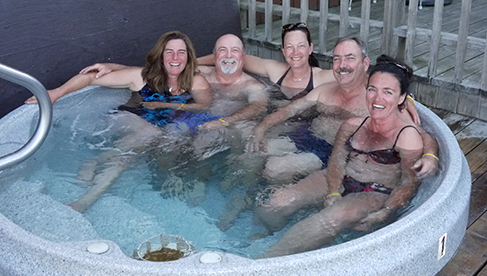 All clients receive resort passes to the beach, hot tub, swimming pool and recreation center as well as 10% off meals at Rafters Restaurant. 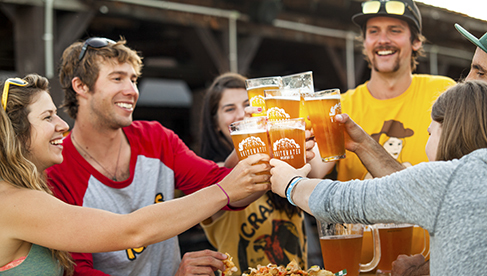 As the facility has grown, so have the special event weekends. 2017 will feature several equestrian clinics as well as the second annual “Pick N Ride” bluegrass festival. The best source of information on updates, special events or reservations is via the website, or by calling 613-867-0585, email or click on the “Live Chat” on the website. 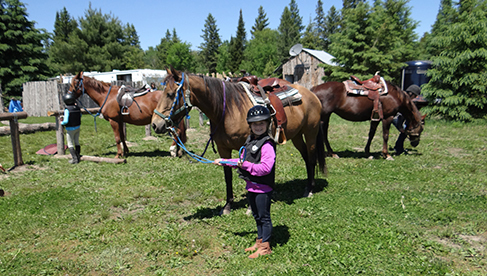 Reservations are filling fast and now is the time to make Horse Country Campground a part of your vacation plans this summer. Happy Trails! Book 2 nights and get 1 FREE September 15-17, 2017. 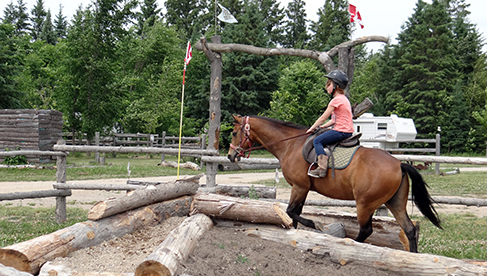 Join us for a fun long weekend of camping fun and horses! 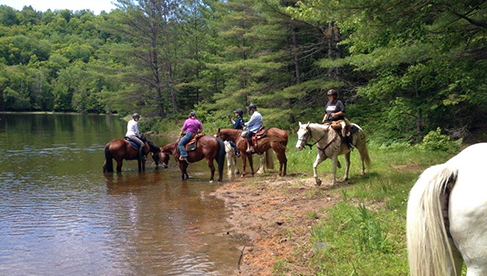 This is a cannot miss weekend May 20 and 21st, 2017 with Cindy Fuerth, owner of the Brookston Horse Park, who will be leading her fabulous De-Spook and Mountain Trail Clinics. This Course is designed to provide you with proper De spooking methods, similar to the mounted Patrol Horses begin with. Book 2 nights of camping July 1-3, 2017 and get 1 FREE! 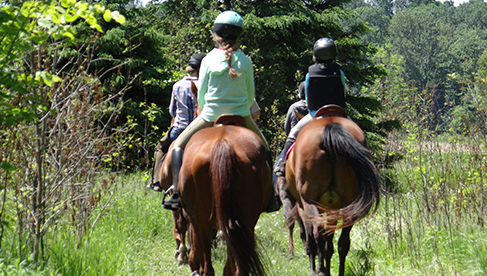 Enjoy Canada Day with with horses and friends out on the trails, camping and resort fun! 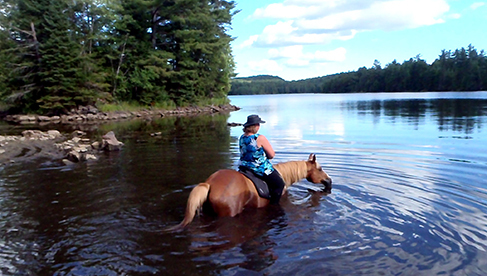 Learn more by calling 613-867-0585 or emailing Horse Country Campground. Visit Horse Country's website. Join David for 2 amazing clinics: 2 days of sharing, teaching and discussion on extreme cowboy competition and for another separate 2 day clinic, where he will teach you his unique approach to building a partnership with horse and rider, build extreme trust. You can read more about David’s clinics and how you can register HERE! David will also be offering a limited number of private lessons prior to the clinic by appointment only. Limited spots! 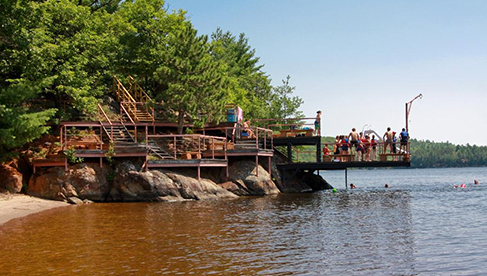 There are a range of accommodation options available including RV rentals, prospector tent rentals, campsites, bunk cabin rentals and luxury cottages. 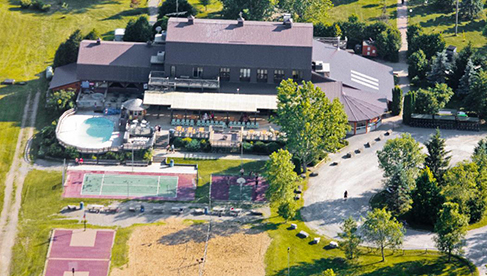 Onsite Rafters Restaurant is open seven days per week serving meals breakfast, lunch and dinner, both buffet and a la carte dining options. Meal plans and discounts are available to all our guests. 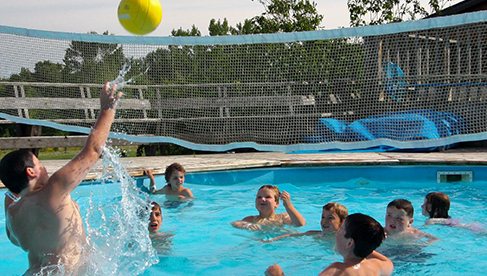 Horse Country is co-located at Canada’s #1 outdoor adventure resort, there are a full range of activities including swimming, beach, hot tub, recreation centre, horseback riding, white water rafting kayaking, kids camps, canoeing and kayak rentals, mountain bike rentals and much more. 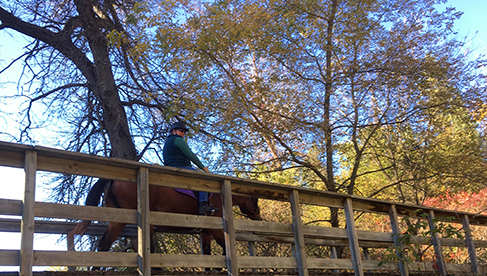 Within 15 minute drive of Horse Country are numerous attractions and destinations including; Oaks of Cobden Golf Course, River Run Rafting Resort, Whitewater BrewPub and beer tasting, Logos Land waterslides and zip lines, and shopping in the town of Renfrew. Only one hour West of the City of Ottawa, world famous parliament hill and UNESCO world heritage site The Rideau Canal. Ottawa is the place to be in 2017 as Canada celebrates our 150th birthday! 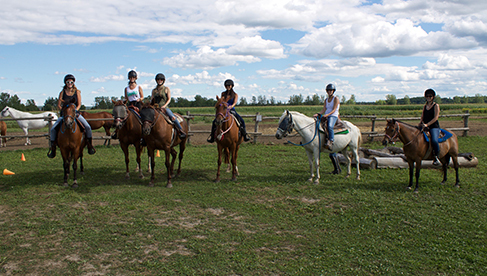 Horseback riding ranch vacations, campground and Canada’s #1 whitewater rafting resort one hour West of Ottawa, Ontario.